Hey there friends! 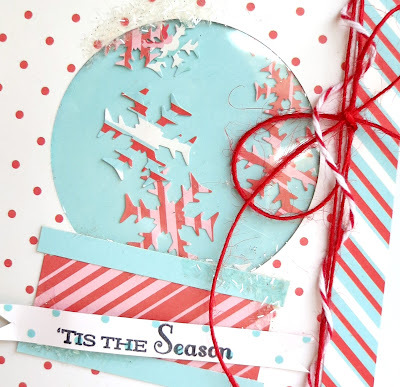 Here today to share with you some fun ideas that use GCD paper, and would be super easy to replicate for mass-produced Christmas cards. These cards are fun, playful and interactive, meaning that something either flips, shakes, slides or folds on them! 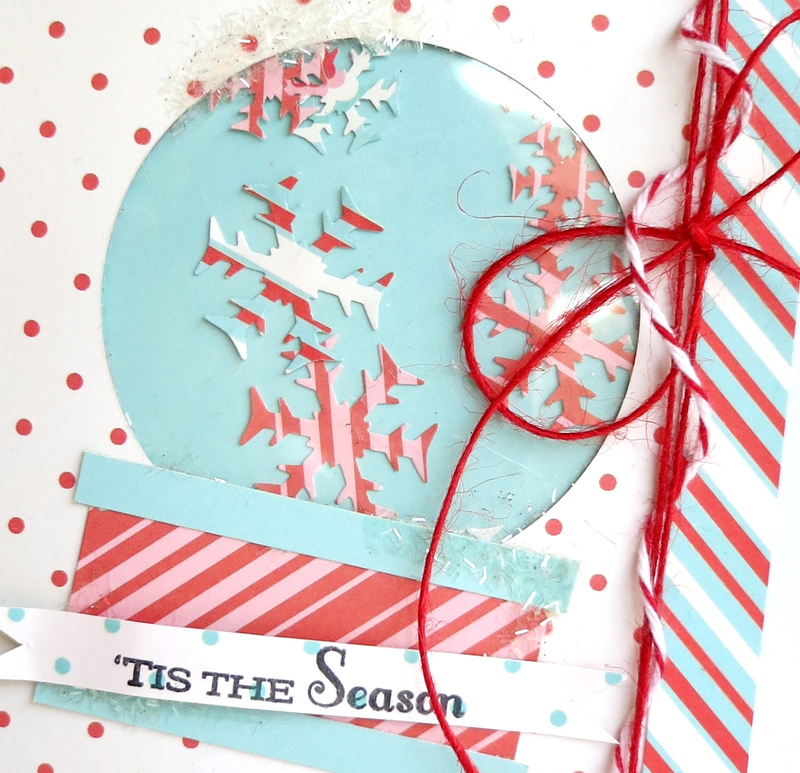 For this card, I created a fun shaker snow globe card! All you do is shake the little snowflakes in the card, and you have a winter wonderland! I love the color triad of red, aqua and white for Christmas. It's super playful and perfect for interactive cards. GCD's Country Charm collection were the perfect patterned papers for this card. I covered the card in Handycraft and Strawberry Jam, and then used Super Star, (which reminds me of yummy candy canes) Farm Field Stripe paper for the strip on the side, and Tiny Floral Border for the snow globe and trim. 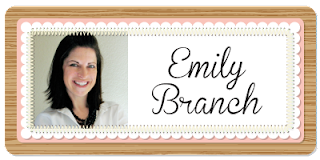 To make the snow globe, die cut a circle from Strawberry Jam and Tiny Floral Border. Die cut a circle from a transparency sheet, and adhere the sheet to the back of the Strawberry Jam paper. Then, punch some snow flakes from Super Star and Farm Field Stripe and insert behind the transparency sheet before you adhere the panel to the Tiny Floral Border. Then cut strips of Super Star and Tiny Floral Border to make the globe base, adding a stamped sentiment strip of patterned paper. Finish off with some trim and tinsel glitter for extra sparkle and texture. This next card is a fun slider card, meaning the elements slide up and down! I used Vintage Wallpaper for the card base, and then stamped some snowflakes on a cardstock panel which is the base for the snowman. To make the slider effect you can either cut a slit or die cut a path. Next punch the Snow Man body from Handycraft patterned paper. To get the snowman body to move along the path, punch little circles of for each snow man part that you want to slide, and place a piece of foam tape between the small circle and the snow man body element that fits inside the path! Fringe a strip of Farm Field Stripe for the scarf, and add snowflakes punched from Super Star and Farm Field Stripe, with some red and white baker's twine. "Tis the Season Card" Card: Country Charm collection: Farm Field Stripe (1506), Handycraft (1508), Strawberry Jam (1510), Super Star (1511) and Tiny Floral Border (1511). Other Supplies: Sentiment (Papertrey Ink). Dye Ink (Tsukineko). Glitter (Martha Stewart). Twine & Jute twine (May Arts). Transparency (Best Creations). Punches (Fiskars). (Circle die) Spellbinders. 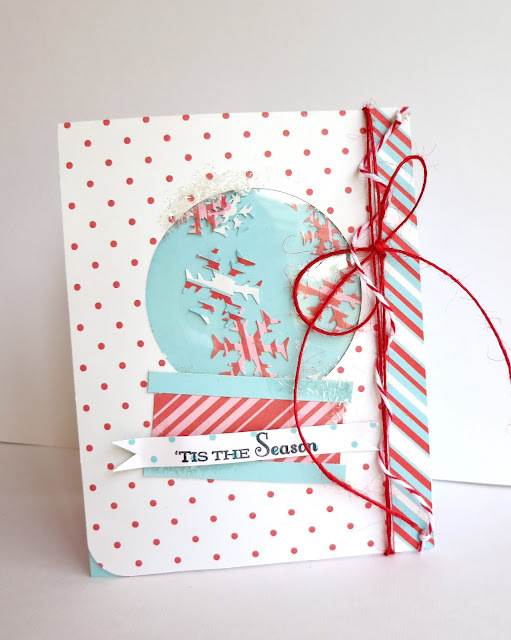 "Tis the Season Card" Card: Country Charm collection: Farm Field Stripe (1506), Handycraft (1508), Strawberry Jam (1510), Super Star (1511), Tiny Floral Border (1511) and Vintage Wallpaper (1514).Other Supplies: Sentiment, snow man elements and snow flakes (Avocado Arts). Dye Ink (Tsukineko). (Slider die) Papertrey Ink. (Circle punches) Fiskars. (Tape) Queen & Co.